The siege of Nottingham in 1194 lasted only three days, but its significance should not be downplayed. The siege signaled the return of Richard I to England, secured his realm from his brother John, and set in play the mechanisms to allow Richard to carry out campaigns to drive the French from his continental lands. On the fourth day of February 1194 King Richard I, the Lionheart, began what would be his final journey to England. He had last touched English soil in December 1189, a few months after his coronation. Having taken the Cross in 1187, Richard had been committed to the crusade to re-capture Jerusalem and left for the Holy Land in 1190. The Third Crusade was not successful in that respect, and aware of troubles back home – the French invading his lands on the continent and his brother John stirring trouble - Richard signed a truce with Saladin and started back to England in October 1192. 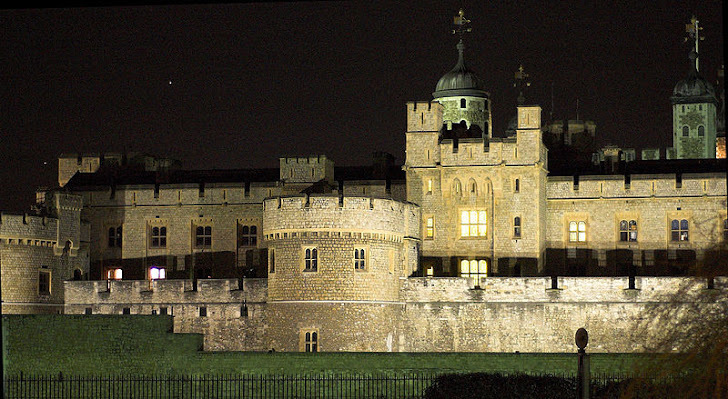 Other returning soldiers arrived in England by that December, but there was no sign of the king. By late January, word arrived: Richard had been captured by Duke Leopold of Austria shortly before Christmas, and was being held by Henry VI, the Holy Roman Emperor. John (of future Magna Carta fame) had not been idle whilst Richard was on crusade. Richard had left his younger brother in good stead, with lands and income that made him one of the wealthier barons in the kingdom, but John consolidated his powers further in 1191-92. 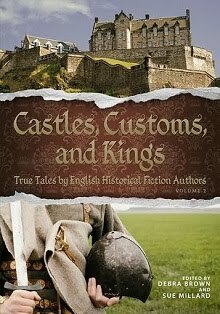 He and his supporters stood against the king’s chancellor and troops sent against them, and John took control of the strategic castles at Tickhill and Nottingham. When he learned of Richard’s capture, John plotted with Philippe Capet, King of France, to usurp the throne. John’s mercenaries attempted an invasion of the southeast Kentish coast in March 1193; his men ravaged the countryside near Windsor. Sieges against his castles that spring finally ended in a truce to last from May to November. John appealed to his mother, Queen Eleanor, and to the Council that Richard was dead. He tried to convince barons in Normandy to swear fealty to him as king. John and Philippe went so far as to offer Henry VI a deal if he would keep Richard imprisoned. With the majority of Richard’s ransom raised and partially delivered by late 1193, Henry was advised to accept the ransom agreed upon. Richard was finally released on the 4th day of February. With his mother Eleanor of Aquitaine at his side, he finally set sail and arrived in Sandwich on March 13. 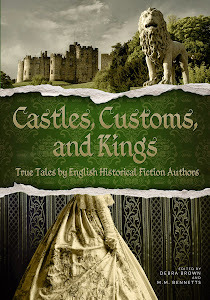 Upon hearing news of Richard’s impending release, John, who had fled to France in January, had ordered his vassals to defend his castles against the king’s men. Acting on Richard’s behalf whilst he had been absent, Queen Eleanor and the king’s justiciars ordered sieges against John’s men in early 1194. Several of the castellans immediately laid down arms, and others, upon verification that King Richard was on English soil, capitulated. The castellan of St. Michael’s Mount in Cornwall supposedly died of fright when he heard the king had landed. Only Nottingham Castle held out. Foulds tells us that the size of Richard’s retinue is difficult to estimate, but his forces likely included William Marshal’s men, and those from the earls of Chester, Ferrers, and Huntingdon, from the bishop of Durham, and the archbishops of York and Canterbury, to name a few. Visitors to Nottingham today will see a gatehouse, but that stone structure was built in the 1250s and little remains of the 12th century castle. Richard’s troops would have encountered a wooden gatehouse and a timber palisade surrounding the outer bailey. That bailey on the eastern side of the castle stretched to the stone curtain wall of a middle bailey on higher ground. 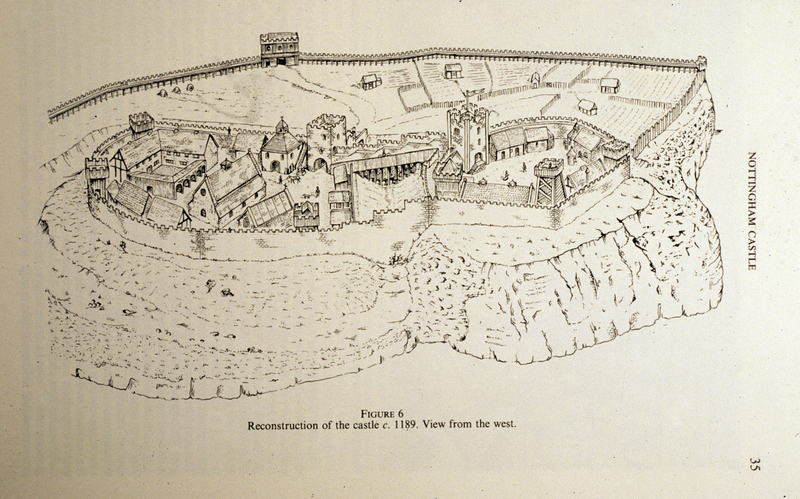 Drawings in Drage’s work depict a barbican and massive stone wall surrounded the middle bailey. The upper bailey rose even higher on the motte, some 40 meters (131 feet) above the town. 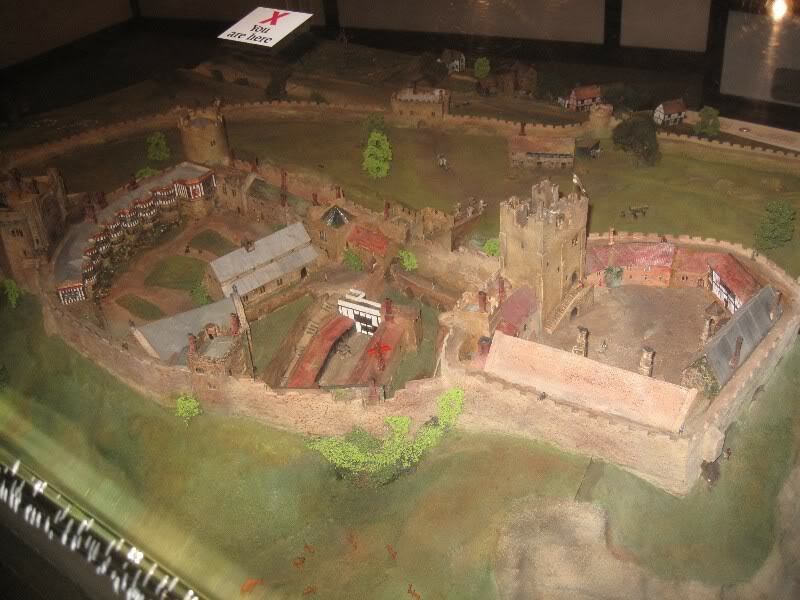 The scale of the castle can be seen in a model representing the castle in the 15th century, but the great hall of the middle bailey and many of the buildings in the upper bailey – including the keep, the king and queen’s apartments, and a long hall – were built during the reign of Henry II. Impregnable? Perhaps, but certainly a bloody fight and long drawn out siege might be needed to bring the castle garrison to its knees. And that meant bodies, time, and money, none of which King Richard wanted to expend. 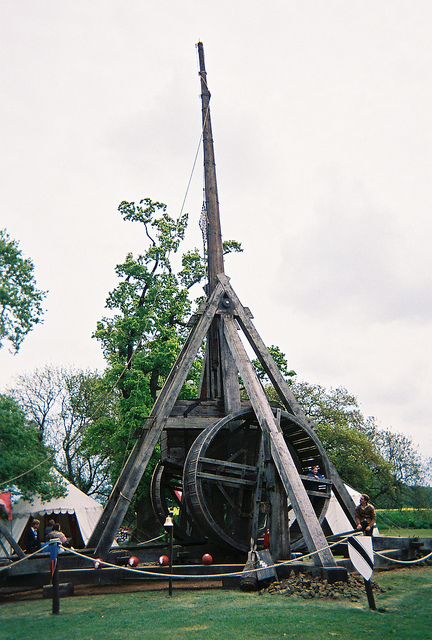 On day two of the siege, Richard ordered gallows built within sight of the castle and hung two soldiers captured during the previous day’s fighting. Richard did not order another assault, wanting to have his siege engines set in place. He had Greek fire at his disposal and the materials to make more, but there is no evidence it was used against the castle. Foulds speculates that bombardment of the castle and the arrival of more troops (from the siege at Tickhill) finally prompted Nottingham Castle’s castellans to send a delegation to meet with King Richard on the third day of the siege, March 27. (The Historie places an initial meeting with men from the garrison on day 1 of the siege.) Once the delegation confirmed that, indeed, King Richard was at their doorstep, a group of the garrison leaders surrendered, recognizing their punishment would be less severe. Prompted by negotiations with Hubert Walter, Archbishop of Canterbury, the remaining defenders surrendered to the king on the 28th of March. King Richard spent March 30 – April 2 in the Council of Nottingham. He sold shrievalties and levied taxes to raise monies to pay off what was owed for his ransom and for the coming fight against the French, heard complaints of John’s actions, and listened to accusations of excesses by his half-brother Geoffrey, Archbishop of York. He also set April 20 in Winchester as the date he would deal with the men who had supported John. Many were put in prison and would be ransomed; others were released upon promise to pay a fine of 100 marks. King Richard left Nottinghamshire on April 5 never to return again. Drage, C. (1989). Nottingham Castle: a Place Full Royal. Nottingham: The Thoroton Society of Nottinghamshire. Foulds, T. (1991). “The Siege of Nottingham Castle in 1194” in Transactions of the Thoroton Society of Nottinghamshire, volume 95. Gillingham, J. (1978). Richard the Lionheart. New York: Times Books. Holden, A.J., ed., (2002). History of William Marshal [L’Histoire de Guillaume le Maréchal. French and English]. London: published by the Anglo-Norman Text Society: Birkbeck College. 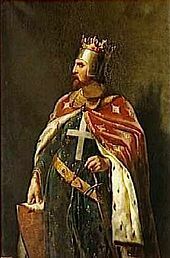 Painting of Richard the Lionheart by Merry-Joseph Blondel in Wikimedia Commons. Public Domain. Line drawing of Nottingham Castle, circa 1189. In Nottingham Castle: a Place Full Royal, copyright the Thoroton Society of Nottinghamshire. Used with permission. Model of Nottingham Castle. Photo taken at Nottingham Castle, Museum & Art Gallery by Cathy Young. Used with permission. Charlene Newcomb is the author of Books I & II of Battle Scars. 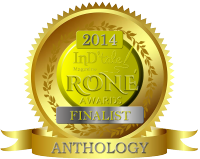 These historical adventures are set during the reign of Richard the Lionheart. 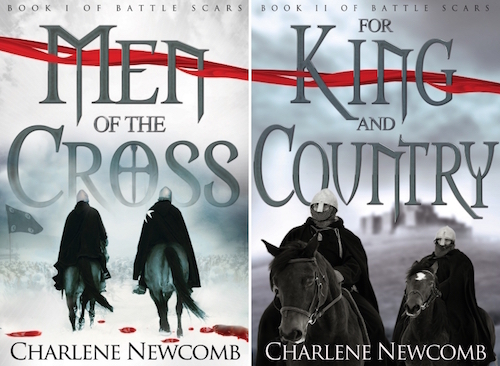 Men of the Cross is a tale of war’s impact on a young knight and of forbidden love. 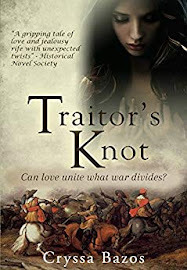 In For King and Country, the knights return from The Third Crusade to an England threatened by civil war. Good stuff. 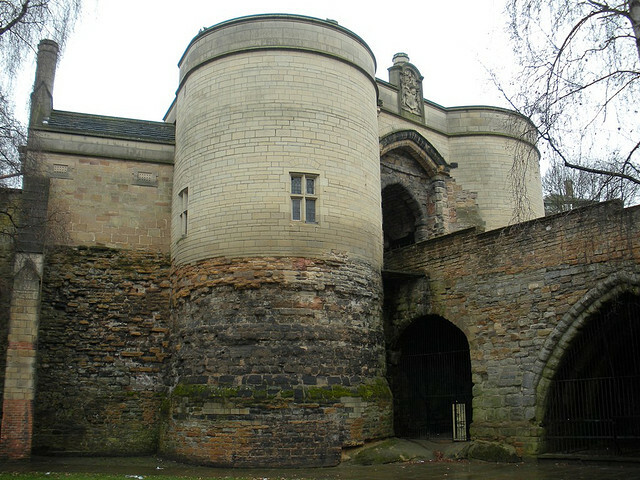 As a lifelong fan of all things Robin Hood, I'm always interested in reading about Nottingham Castle. Thanks for stopping by to comment. Here's to Robin Hood & Nottingham! Sometimes their stories sound more like fiction than fact. What a family! Archershood, the book I reference, Nottingham Castle: a Place Full Royal by Drage, has a couple of line drawings for the time period (including the one in the article) and describes the layout of the middle and upper baileys. It is a great resource. 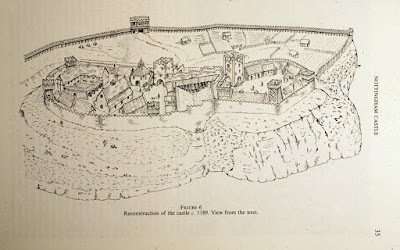 And you may have seen this image: https://en.wikipedia.org/wiki/Nottingham_Castle#/media/File:Nottingham_castle_reconstruction.jpg, drawn in the late 1890s.